Homeopathy helps a lot in Autism child. Any autism child if treated with classical constitutional homeopathy way of treatment then there is the maximum chance of getting cure from this obstinate disease. In our Multicare homeopathy online treatment center many Autism children have benefitted using our advanced homeopathic treatment packages. 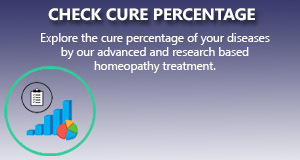 We apply the most scientific and research based homeopathy treatment package for this ailment that gives a long standing cure from this condition. I think it will be a ray of hope for the treatment of my son, Sakti if something is done by your end. In my view autistic children have some damaged or inactive brain cells. So, one should activates such calls. Brain cell activator ,homeopathic medicine should be useful.